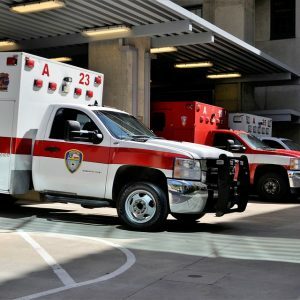 Houston, TX (April 6, 2019) On the late evening of April 5th, a fatal multi-vehicle crash happened on Interstate 45 near West Greens Road. According to the reports, four vehicles crashed into each other at approximately 5:41 p.m. When emergency crews arrived at the scene, they found that at least one person had succumbed to their injuries. The police are currently investing what led up to the devastating accident and who will be deemed at fault for damages. We send our condolences to the deceased victim’s family as they grieve over their loved one’s lost life. The Texas Department of Transportation reveals that there were approximately 47,585 vehicle accidents in Houston in 2012. As a result of those crashes, almost 200 people lost their lives. Most vehicle accidents are caused by negligence, which includes distracted driving, drunk driving, and reckless driving. Other causes of serious accidents include hazardous weather conditions, dangerous road conditions, or mechanical errors. For those who have lost loved ones in vehicle accidents, it’s important to seek assistance from a Texas wrongful death attorney to help with filing a wrongful death lawsuit. At Benton Law Firm, because we understand how complex wrongful death lawsuits can be, we help our clients with all aspects of the legal process. We handle all of the particulars while we encourage our clients to focus on healing. We have helped countless families gain justice by winning their lawsuits against negligent parties. If you or someone you know lost a loved one in a vehicle accident, call us now at 214-219-4878.